Are you passionate about supporting sustainable farming practices? Do you think food should be good for our health, safeguard our environment, and support the farmers producing it? 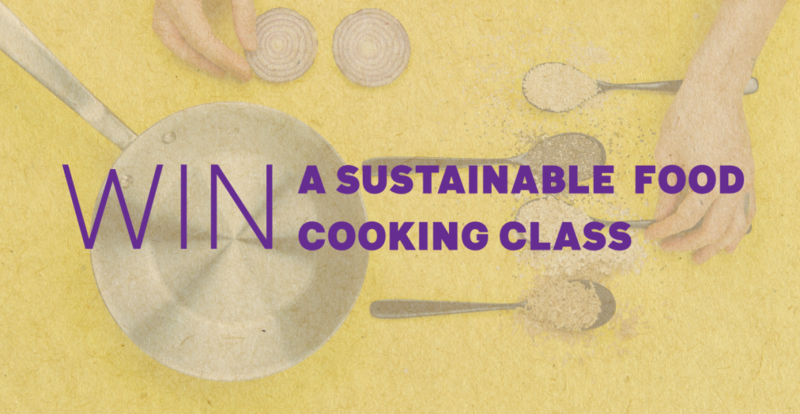 Take the pledge to support Sustainable Food and be in the running to win a prize! Take a photo of either a recipe you have tried, a farmer you visited, locally produced food you purchased, or an action that is related to sustainable food and farming. 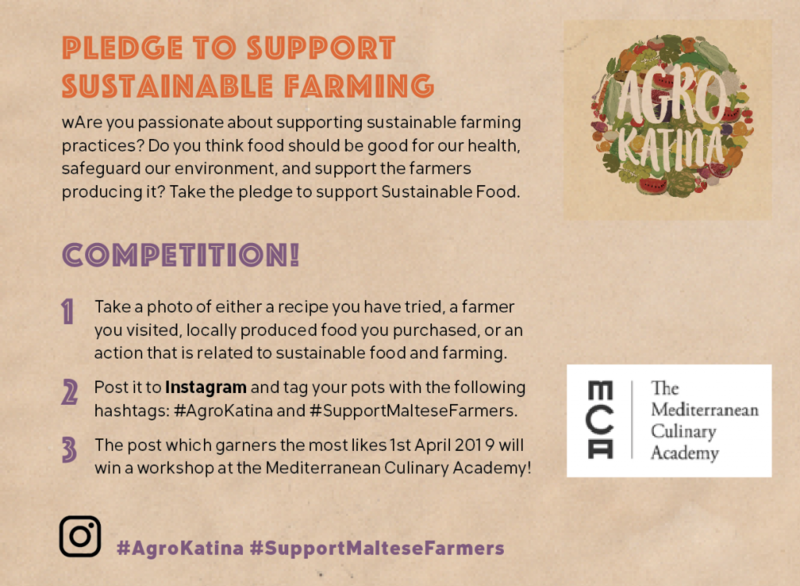 Post it to Instagram and tag your pots with the following hashtags: #AgroKatina and #SupportMalteseFarmers and write what changes you want to see or why you pledge to support sustainable farming. The post which garners the most likes 1st April 2019 will win a workshop at the Mediterranean Culinary Academy! Check what others have been posting here.